If you access or use this website (the “Site”), you accept and agree to be bound by and comply with the following terms and conditions (the “Terms”). If you do not accept these Terms, do not use the Site. Harmani Enterprises Ltd. reserves the right, at its discretion, to change, modify, add or remove portions of these terms and conditions at any time. Please check these terms and conditions periodically for changes. Your continued use of the Site following the posting of changes to these terms and conditions will mean you accept those changes. 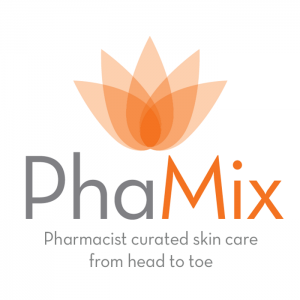 The Site (phamix.com) and West Apothecary are owned and controlled by Harmani Enterprises Ltd. and its affiliates, subsidiaries, directors, employees or agents (collectively, “Harmani Enterprises Ltd.) from its office within the Province of British Columbia, Canada. 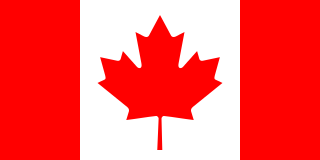 This Site can be accessed from all provinces and territories of Canada, as well as from other countries around the world. As each of these places has laws that may differ from those of the Province of British Columbia, Canada, by accessing this Site, you agree that all matters relating to access to, or use of, the Site, or any other hyperlinked website, shall be governed exclusively by the laws of the Province of British Columbia and the laws of Canada applicable to the Province of British Columbia, without regard to the conflicts of laws principles thereof. You also agree and hereby submit to the exclusive personal jurisdiction and venue of the courts of the Province of British Columbia and acknowledge that you do so voluntarily. You are responsible for complying with your own local laws. You agree to indemnify, defend and hold harmless Harmani Enterprises Ltd., its officers, directors, employees, agents, licensors, and suppliers from and against all losses, expenses, damages and costs, including reasonable attorneys’ fees, resulting from any violation of these terms and conditions or any activity (including negligent or wrongful conduct) related to your use of the Site. All products and services of phamix.com are subject to the terms and conditions of the applicable agreements governing their use or sale. The terms and conditions applicable to any product, service or information will be those determined at the time of provision of the product, service or information. Please be aware of the laws of your jurisdiction or that otherwise apply to you in relation to any of the matters described in these pages. If you choose to access the Site from outside of the Province of British Columbia or the Country of Canada, you do so at your own initiative and are responsible for compliance with applicable local, national or international laws. You may not use or export or re-export the Information or any copy or adaptation in violation of any applicable laws or regulations, including export laws and regulations of Canada in force from time to time. Phamix.com provides the site and the information on an “as is, where is and as available” basis. To the fullest extent permitted by law, phamix.com does not make any express or implied warranties, representations, endorsements or conditions with respect to the site or the information, including without limitation, warranties as to merchantability, operation, non-infringement, usefulness, completeness, accuracy, currentness, reliability and fitness for a particular purpose. Further, phamix.com does not represent or warrant that the site will be available or meet your requirements, that access will be uninterrupted, that there will be no delays, failures, errors or omissions or loss of transmitted information, that no viruses or other contaminating or destructive properties will be transmitted, or that no damage will occur to your computer system. You have sole responsibility for adequate protection and backup of data and/or equipment and to take all precautions to scan for computer viruses or other destructive properties. You acknowledge and agree that phamix.com does not endorse the content of any member or any site accessed via links or other means from the site and it is not responsible or liable for such content even though it may be unlawful, harassing, libelous, privacy invading, abusive, threatening, harmful, obscene, or otherwise objectionable, or that it infringes or may infringe the intellectual property or other rights of another person. Except where prohibited by law, under no circumstances, including, but not limited to, negligence, shall phamix.com be liable for any direct, indirect, special, incidental or consequential other damages, including, but not limited to, loss of data or profit, arising out of the use, or the inability to use, the site or the information, even if phamix.com has been advised of the possibility of such damages. We cannot guarantee the availability of any products or items described on the Site and some may not be available at all. All prices shown are before any applicable tax. Phamix.com reserves the right to limit quantities and to correct errors or omissions prior to processing a purchase request. While phamix.com strives to provide accurate product and pricing information, pricing or typographical errors may occur. We do not warrant the accuracy of any specifications, pricing, warranty or other product information contained in this Site and any information included is subject to change by phamix.com at any time. Without limiting the generality of any other terms and conditions on this Site, phamix.com does not accept liability for any errors or omissions which may be found on this Site or for unavailability of any product. Harmani Enterprises Ltd. does not warrant or guarantee the accuracy, completeness, correctness, timeliness, or usefulness of any medical or health information posted or otherwise available on or through access to the Site. The information provided by Harmani Enterprises Ltd. on the Site are for educational purposes only and in summary form intended to provide general consumer understanding and knowledge of health care topics and Harmani Enterprises Ltd. is not responsible and shall not be liable to you or anyone else for any action or decision taken in reliance upon the information contained in the Site. You are responsible to review and understand all package and package insert information concerning products purchased from phamix.com. YOU SHOULD NOT USE THE INFORMATION CONTAINED ON THIS SITE FOR DIAGNOSING, TREATING, CURING OR PREVENTING A HEALTH PROBLEM OR PRESCRIBING A MEDICATION. YOU SHOULD CAREFULLY READ ALL INFORMATION PROVIDED BY THE MANUFACTURERS OF THE PRODUCT ON OR IN THE PRODUCT PACKAGING AND LABELS BEFORE USING ANY THE PRODUCT. THE INFORMATION PROVIDED ON THE SITE IS NOT INTENDED TO BE USED AS A SUBSTITUTE FOR PROFESSIONAL MEDIAL DIAGNOSIS OR TREATMENT. ALWAYS CONSULT YOU OWN PHYSICIAN FOR ADVICE AND TREATMENT. Any unprotected e-mail communication over the Internet is, as with communication via any other medium (e.g. cellular phones, post office mail), not confidential, subject to possible interception or loss, and is also subject to possible alteration. Phamix.com is not responsible for and will not be liable to you or any one else for any damages in connection with an e-mail sent by you to phamix.com or an e-mail sent by phamix.com to you at your request.